Let me just start by saying that I&apos;ve kinda made it a point in life to never go to the county jail. Just really wasn&apos;t something high on my list of life priorities! However, a while back as a member of the Leadership Hendricks County program I was given no other choice but to head to jail, the old county jail that is! You see LHC is a leadership training program in Hendricks County with a focus of educating community leaders on the county so that they may better serve it. So in order to better know our wonderful county, I got the opportunity to visit our county&apos;s past jail! The old Hendricks County jail truly is one of the greatest historical sites in Hendricks County. While it isn&apos;t haunted, it is scary as it exudes a dungeon-like or mid-evil vibe. You truly have to see it to believe it. Even more amazingly, it was still being used as late as 1974! 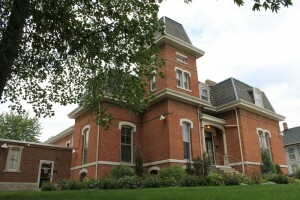 The old jail is located in the heart of Danville, Ind., behind what is now the Hendricks County Historical Museum, 170 S. Washington St., which is just a block south of the Hendricks County Courthouse Square. There are a few sites in our county where you can really get a feel for the past and this is one of the best. If you are looking for a fun and unique activity for the family, this is it. The current museum is actually the past home of the Hendricks County Sheriff. With the jail connected to the home, it was a perfect set up to make sure the jail ran smoothly. Hendricks County Historical Museum This facility has a ton of history, the jail and sheriff&apos;s residence was built in 1866. It contained no electricity or plumbing. Upon entering the museum, you will see many great artifacts from Hendricks County&apos;s past. 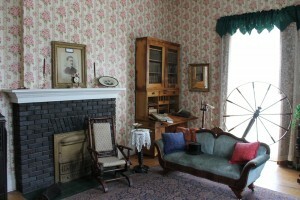 Items include memorabilia from the old Normal College along with items that made up the lives of past county residents. You will even get a sense of how the sheriffs&apos; families lived. 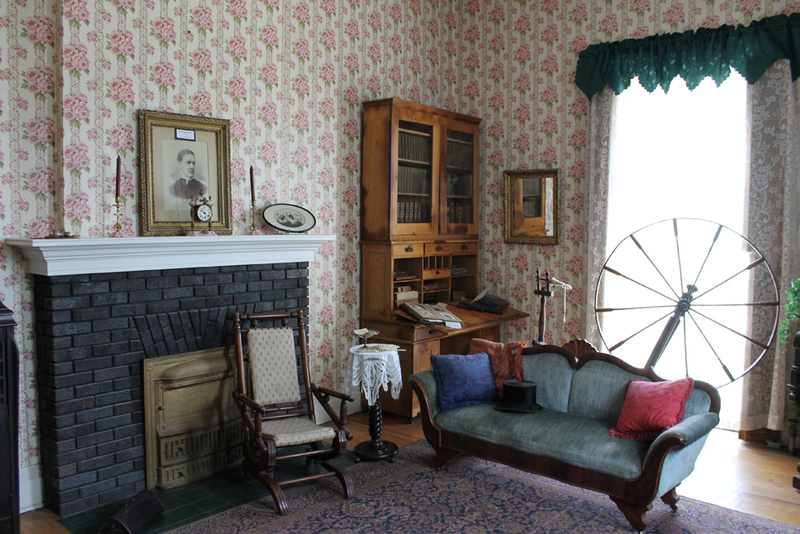 The home has been beautifully restored, and it truly is like stepping back in time. 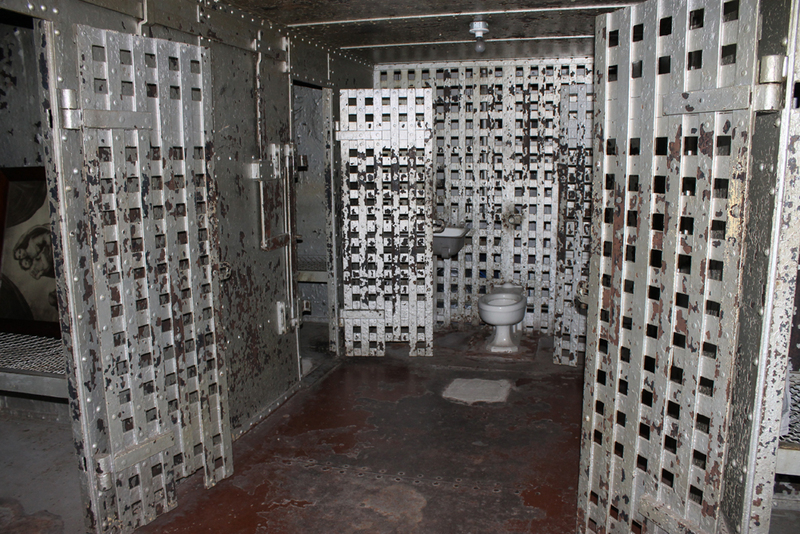 Once my time in the home was complete, my stomach turned a bit because it was now time to tour the jail. There is something a bit eery about an old county jail that is underground. 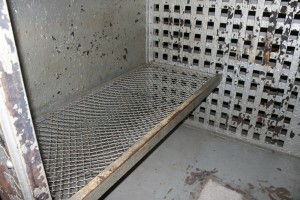 Upon walking down into the jail, the first things I noticed was how dark and cold it was. Also, this space was incredibly small to house the number of prisoners they had. The space has two different sections, one for men and one for women. 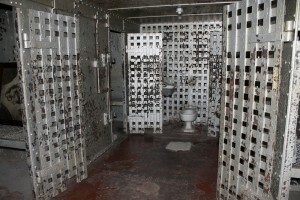 The women&apos;s area contained two cells and the men&apos;s contained four. 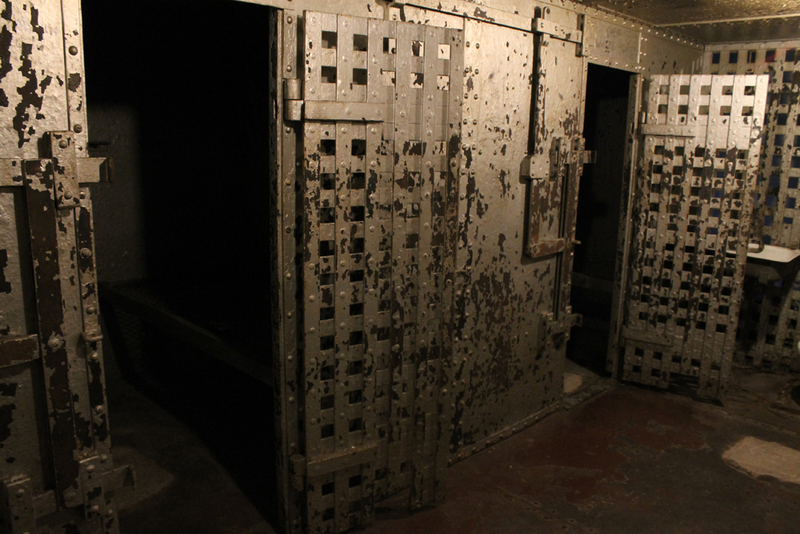 You get a feel for the atmosphere and the past as you walk into one of the cells and see the graffiti on the walls and the rusty steel beds the prisoners sat on. If those walls could talk, I&apos;m sure they would have some strange stories. As I stood there listening to some great history, I couldn&apos;t help but imagine what this jail had been like in the early 1900s. One of the greatest things about a building this old are the stories that go along with it. The staff and tour guides at the Hendricks County Historical Museum do a wonderful job of sharing some of that juicy info! Gail Tharp, collection manager, shared one of her favorite urban legends about the jail with me, "People like to believe there is a tunnel for transporting prisoners. There is a tunnel built for the heating pipes from the boiler room (attached to the residence) that go to the courthouse. If any prisoners were transported, they would have to bend over a great deal to go through." This jail also is rumored to have held some strange prisoners. A local minister William Henshaw from Cherry Grove Methodist Church was chief among them after killing his wife in January of 1895 (Look it up; it&apos;s a crazy story). Apparently, William, who had a rocking chair in his cell, had many female visitors come to read to him and bring him treats at the jail. While William&apos;s story was interesting, the jail is rumored to have held one of the most notable murderers in American history, Charles Manson. He was at the Indiana Boys School in the 1950s, and it is thought that he came to Hendricks County at one point to go on trial. (Puts a whole new spin on the place doesn&apos;t it!) 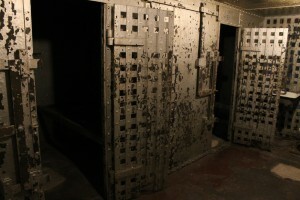 The Hendricks County Historical Museum and jail truly are a must see for anyone looking for some great hands-on history. It is a great environment to bring your kids and teach them in a tangible way about history. It also doesn&apos;t hurt to show them just how scary jail is. Am I right parents? Be sure to check the Hendricks County Historical Museum&apos;s website for information on hours and directions! It is open to the public from 11 a.m. to 3 p.m. Saturdays or by appointment. Admission is free but donations are welcomed, and it&apos;s sure to be a great time for all! Have any more Hendricks County Jail urban legends you would like to share? Please leave me a comment, I would love to learn more!